But the blackest occurrence of all this vitriol, spouted by Justice Chelameswar with “great anguish and concern” is that no one, to my knowledge, has cared to scrutinise that 7-page letter itself. Frankly, that letter constituted a badly framed charge sheet against the Chief Justice of India. The mutiny of four Supreme Court judges in New Delhi on Friday, 12th January 2018 is already history now. But a group of four senior Supreme Court judges speaking to the media about the adversarial contents of their 7-page letter addressed to the Chief Justice of India (CJI) released on the occasion made it a Black Friday in the annals of our judiciary. But the blackest occurrence of all this vitriol, spouted by Justice Chelameswar with “great anguish and concern” is that no one, to my knowledge, has cared to scrutinise that 7-page letter itself. Frankly, that letter constituted a badly framed charge sheet against the Chief Justice of India. It is so for many reasons, minor and major. But then, I suppose, it’s four honourable apex court judges who say they have signed a letter and sent it out to CJI, and, therefore, we will have to take their word for it. Hence, let’s come to the major infirmities of their charge sheet against the CJI. The letter has emphasised the row between the Supreme Court and the Government of India over finalising the Memorandum of Procedure (MoP) for the Supreme Court’s appointment of several kinds of judges, including Special Judges. The four judges mentioned in the letter have expressed displeasure over delays in finalising the MoP, and observed that the Government’s “silence” on the MoP draft sent to it by the Supreme Court in March 2017 had been accepted. The truth is otherwise. Parliament records show the Government has announced that it had communicated to the Supreme Court in July 2017 that the draft MoP needed “improvement”. “The Government of India has conveyed the need to make improvement on the draft MoP to the Secretary General of the Supreme Court vide letter dated 11. 07.2017,” Minister of State for Law and Justice P. P. Choudhary told Rajya Sabha in response to a question in the recent winter session of Parliament. After the inputs on the MoP of the Supreme Court Collegium were received from CJI vide letter dated 13.03.2017, came the judgment in the Justice C S Karnan case, in which the SC “underlined the need to revisit the process of selection and appointment of judges to the constitutional courts”, Choudhary said. This, he said, was followed by the July 2017 letter to the secretary general of the Supreme Court. On October 27, 2017, a bench of Justices A.K.Goel and U.U.Lalit had issued notice to the Centre saying, “We need to consider the prayer that there should be no further delay in finalisation of MoP in larger public interest. Even though no time limit was fixed by this court for finalisation of the MoP, the issue cannot linger on for indefinite period.” That development came as a surprise as it meant that the SC had taken up at judicial level a matter that, until then, was being dealt with at an administrative level. It was a different matter that on November 9, 2017, after just 12 days of the above, two-judges order, a three-judge withdrew it. The 7-page letter of the four rebel apex court judges was thus a misrepresentation of facts on the Government of India’s so-called silence on the MoP. And Justice Chelameswar along with his three senior just did know about the developments on the MoP after March 2017. It was a classic instance of the left hand not knowing what the right hand was doing. Supreme Court Judges being economical about the truth? Shocking. Clearly, the four judges are levying charges of “arrogance” and violation of the “principle” in assigning case on the roster to judges in a “selective” manner. In short, the 7-page letter wants a say in allocation of cases to various judges and various Benches. That precisely denied in a verdict of a five-judge Bench of the Supreme Court on November 10, 2017. Recalling the three-Judge Bench verdict in State of Rajasthan vs. Prakash Chand and Others (1998) 1 SCC 1, the essence of the above judgement of November 10, 2017 is stated below. “In Prakash Chand (supra), the Court stated thus: “From the preceding discussion the following broad CONCLUSIONS emerge. (1) That the administrative control of the High Court vests in the Chief Justice alone. On the judicial side, however, he is only the first amongst the equals. (2) That the Chief Justice is the master of the roster. He alone has the prerogative to constitute benches of the court and allocate cases to the benches so constituted. (3) That the puisne Judges can only do that work as is allotted to them by the Chief Justice or under his directions. (4) That till any determination made by the Chief Justice lasts, no Judge who is to sit singly can sit in a Division Bench and no Division Bench can be split up by the Judges constituting the bench can be split up by the Judges constituting the bench themselves and one or both the Judges constituting such bench sit singly and take up any other kind of judicial business not otherwise assigned to them by or under the directions of the Chief Justice. (6) That the puisne Judges cannot “pick and choose” any case pending in the High Court and assign the same to himself or themselves for disposal without appropriate orders of the Chief Justice. The above verdict, as the url shows, was delivered by a Bench of five judges, namely, (i) Dipak Misra, CJI, (2) Justice R.K. Agrawal, (3) Justice Arun Mishra,(4) Justice Amitava Roy, and (5) Justice A.M. Khanwilkar at New Delhi on November 10, 2017 just a little over two months before the 7-page letter was released to the media. The four honourable four seemingly forgot it. At the very end, one can confidently say that the 7-page charge sheet against our country’s Chief Justice on that Black Friday nailed its signatories as indulging in “misrepresentation of facts” and use of words constituting “contempt of court”. 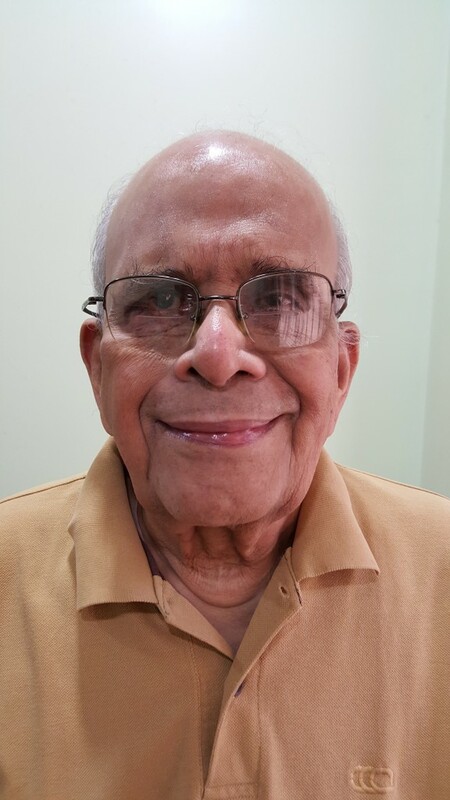 Arvind Lavakere has been a freelance writer since 1957. He has written and spoken on sports on radio and TV. He currently writes on political issues regularly. His writings include a book on Article 370 of the Indian Constitution.